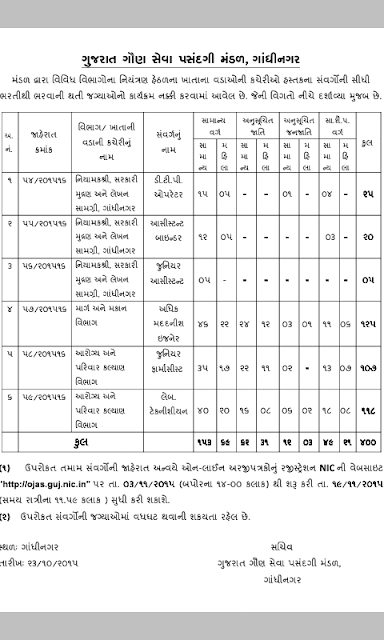 Gujarat Sub-Ordinate Services Selection Board Has Published Notification For Various400 posts recruitment adv. No.54/2015-16 to 59/201516. The details Are as Given below.